By now we’ve all heard the term “third eye” and its come to represent an all-knowing sixth sense from which we perceive the world. This intuition can be compared to that of animals who know when it’s time to migrate for the winter, or to prepare for dangerous weather. This primal sense of intuition is apparent in humans, too. This energy lets us access our inner guidance, thus allowing us to reconnect and trust our own intuitions by feeling comfort in knowing that we are living our true purpose. The Sanskrit name for this sixth chakra is “Ajna”, which means “perceiving” and it is represented by a bluish color. 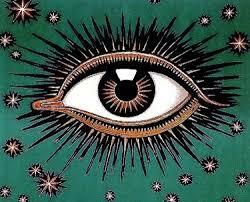 It is located in between the eyebrows and is the center of intuition and precognition. This chakra is the center where we transcend duality and start to see the world as a part of who we are, instead of seeing ourselves as separate. 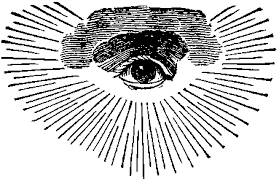 A person with a blocked or imbalanced third eye can manifest as not being able to see the greater picture, a lack of clarity and a disconnect from your intuitive nature. 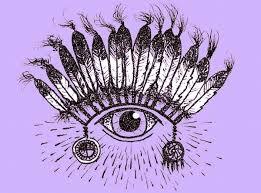 An awakened third eye on the other hand can allow us to perceive the more subtle qualities of reality and into your inner perception. It puts us in touch with the ineffable and connects us to our wisdom. It can give insight into mystical realities from a space of deeper understanding-- the world behind your eyes, so to speak. 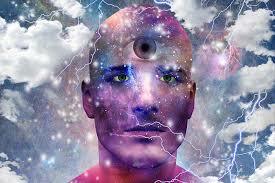 An opened third eye can also give us foresight, motivate creativity and provide access to inspiration. Sustaining awareness of third eye chakra energy might require focus and the ability to open up into different ways of seeing. When we focus our mind and consciousness, we can see beyond the distractions and illusions of everyday life to build our wisdom into a more deeply aligned meaning, guided by our highest good. Always keep in mind that everything in your life is there for a reason and to teach and guide you to your truth. - I am in touch with my inner guidance. - I nurture my spirit. - I am tuned into the divine universal wisdom and always understand the true meaning of life situation. - I trust my intuition.